A scene from “Diller, Scofidio + Renfro: The Look. Diller Scofidio + Renfro has the kind of major commissions under its belt — the High Line and the upcoming Culture Shed at Hudson Yards — that make it one of the top architecture firms in New York City. Two years ago, the Deste Foundation for Contemporary Art in Greece approached them with an idea that was a little bit out of their element, if only somewhat. Why not curate a capsule collection from the year’s accessories offerings and incorporate the items into an independent project? 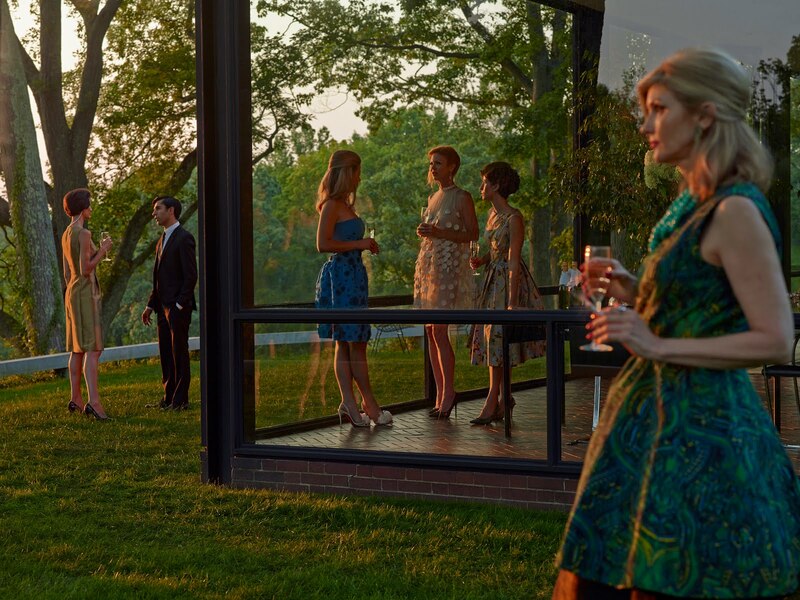 The result is “The Look,” a series of styled photographs shot in Philip Johnson’s iconic Glass House in New Canaan, Conn. Culled in a book published by Artbook and available online through D.A.P. and in select book stores, the pictures explore youth, aging and the sweet spot between fashion and architecture. “There’s a cycle in fashion that’s very speedy, but classic in both fashion and architecture represents the same thing,” says Elizabeth Diller, the partner who took the lead in the project. 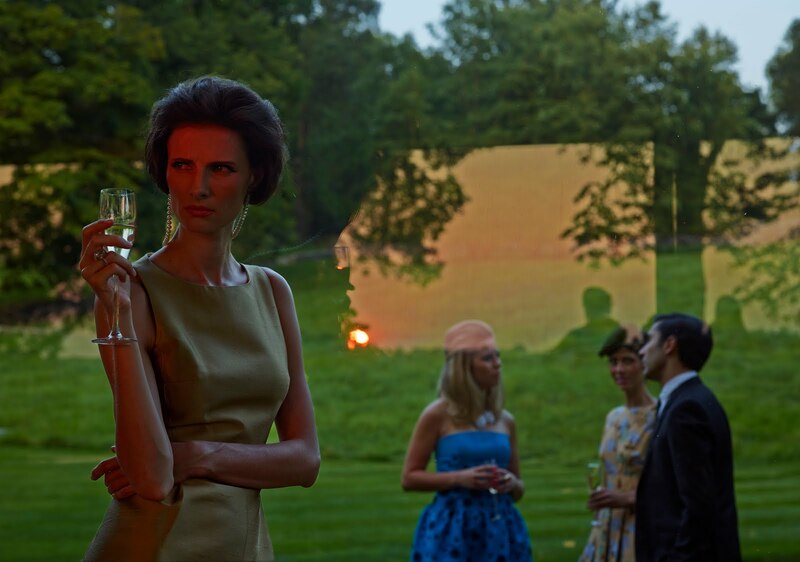 “All those things started to come together around staging a loose narrative in a midcentury modern house.” The story line she came up with revolves around Elode, a modern Jackie O-type who’s married to an older man and has a boy toy on the side. “She’s still quite beautiful, but a little worse for the wear. She’s at the apex of aging,” says Matthew Monteith, who shot the portfolio. For the shoot, Diller dispersed 10 accessories culled from runway couture and ready-to-wear collections. She chose accessories “because they’re more likely to have a sculptural or contemporary side to them and more likely to be statement pieces.” For example, in one scene where Elode is getting ready for a party, she wears Slow and Steady Wins the Race’s pearl necklace earring that stretches from lobe to lobe. “It’s so twisted and perverted,” Diller says of the accessory. In another scene at a party, a guest wears Leg Avenue jumbo fishnets that appear to be painfully cutting off the circulation in her legs. In other words — not the kind of images you’ll see in your average fashion magazine any time soon. In the face of this decadence, it’s actually Johnson’s Glass House, which some say changes personality throughout the day depending on the light, that emerges as the real star. No surprise there, given the project’s provenance.